You might not think of it, but depending on your dog’s fur, you will likely need a certain kind of brush. There are many different kinds of brushes for many different types of coats, and it can be tough to know how to pick the right one. This might be harder to determine at first with a mixed-breed dog. However, hopefully, with some careful consideration and guidance from your vet or groomer, you should be able to pick the best brush for your dog’s coat. Here’s what you need to consider. When it comes to brushes, there are three different kinds: bristle, wire-pin, and slicker. Bristle brushes are the most versatile. If the teeth of the comb are wide and long, those are going to be the ones best fit for a long coat. Wire-pin brushes may or may not have rubber-tipped ends. Regardless of this, these brushes are best suited for medium-length to long coats with curly or wooly textures. The slicker brush might be at first confused with the wire-pin with the fine wire teeth. The slicker brush is the best used for handling matted or tangled fur. Sometimes you can find combination brushes that have a different type of brush on each side. These brushes might be best if you have a dog with a coat that requires more than one type of brush. How to execute the use of these brushes on fur is also important. For example, slicker type brushes will require you to start closer to the skin on a dog’s coat while slowly working outwards. Some coats will also require you to brush with or against the grain. 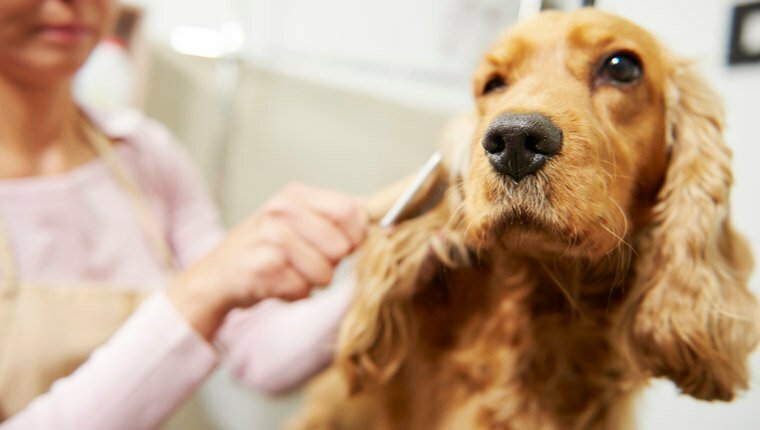 Although general guidelines can help get you started with grooming, you should ask your vet or groomer for advice on your specific dog’s coat. There are a few different coats that dogs can have, and much of it is dependent on their breed. For the most part, there are five basic types of coats: wiry, smooth, double, long, and curly. Some dogs also have what is known as “combination coats” and may require multiple brushes. Just like your dog’s coat, the variety of brushes can differ. The teeth will be your biggest clue as to what type of coat they’re intended for, so be sure to take a good look before buying, especially online. Here are some general guidelines to help you figure out what kind of brush your dog’s coat needs. Smooth coats (Labradors, Chihuahuas, Hounds, etc.) usually require soft or medium bristle brushes. Wiry coats (many kinds of Terriers) may need slicker brushes for best results. Long coats (Golden Retrievers, Setters, etc.) benefit from wire-pin or soft to medium bristle brushes. Slickers can help with tangling or matting. Double coats (Sheepdogs, Pomeranians, etc.) require wire-pin or firm bristle brushes for regular care, along with slickers to handle tangles or mats. Curly or thin coats (Yorkshire Terriers, Maltese, etc.) should be groomed with wire-pin brushes and soft slickers for mats. 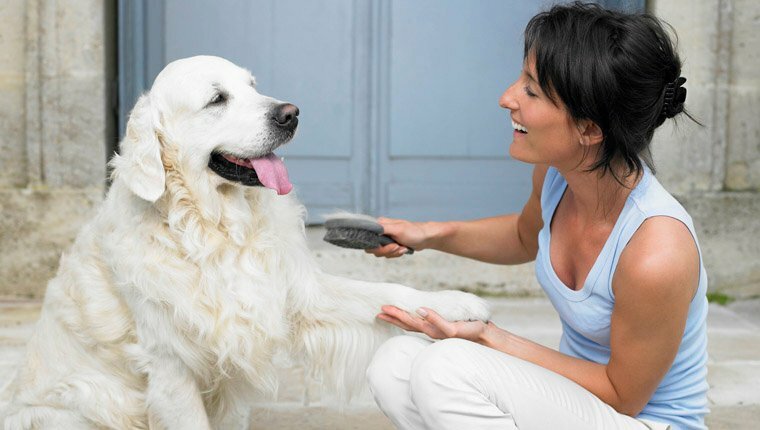 Always be as gentle as possible when brushing your dog. The less comfortable they are, the more trouble you’re going to have sitting them down for the next time. Do you have a preferred brush that you use for your dog?